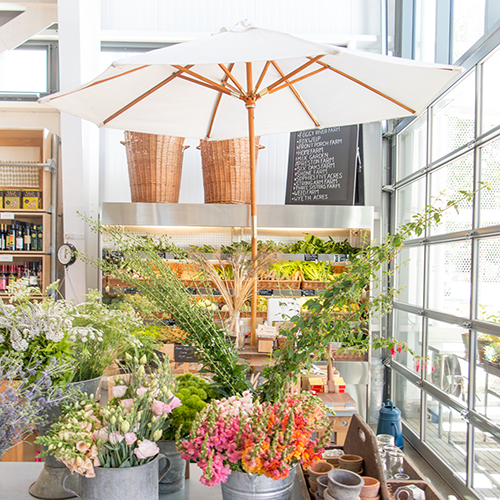 Located in a large & open garage the Shed in Healdsburg brings the modern story of farm to table to life. Showcasing an array of thoughtfully curated goods to FARM, COOK & EAT shoppers are delighted by a beautiful marketplace of gardening supplies, fresh & local produce, artisan pantry goods & a selection of modern yet classic kitchen & housewares. In addition to the wonderful retail displays visitors can choose from unique dinning experiences with a fermentation bar, cafe & open kitchen. My go-to favorites here include picking out a fresh bouquet of seasonal flowers, grabbing a sachet of the in-house milled grain & sipping a cup of coffee at one of the delightful outdoor picnic tables. *Be sure to sign-up for one of the many community classes that focus on the themes of good farming, good cooking and good eating.